Pier 54 is a long open pier that provides public access. 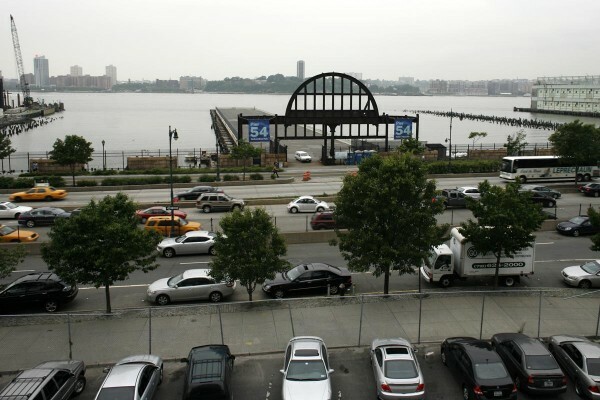 It has an eye-catching steel arch at the entrance – remnants of Pier 54’s past pier shed for ocean liner port use. The Pier is one of Hudson River Park’s main event/performance spaces. Hudson River Park along with partner Bike New York provides free bike education classes throughout the summer for both children and adults. For current schedule of programs and other information please visit Bike New York.